As of 2013, there were an estimated 402,378 children in foster care in the United States. Foster care and adoption can be challenging, but for some kids, it’s a chance at a better life. In fact, with the right support, some of those children go on to be quite successful — and even famous! Check out the list below of some remarkable people who went from foster to famous. As one of the founding members of the Beatles, John Lennon helped to change the history of music. He grew up in England, where his young parents had a hard time raising him. After a visit from a social worker, Lennon’s mother gave up custody of him to his aunt and Uncle, who later adopted him. After being placed into an orphanage at the age of seven, George Ruth discovered that he had a special skill for baseball. By the age of 19, he had signed on to play minor-league baseball and by 21 he was playing for the Red Sox. During his career, he won seven World Series and broke several records. In addition to his remarkable sports skills, Babe Ruth was also known for visiting children at hospitals and orphanages. Most people know Steve Jobs as the co-founder of Apple and one of the most successful innovators of our time. But many don’t know that Jobs was adopted at a young age. His birth mother was forced to give him up, but they reunited when he was 27. Jobs also found his birth father and discovered that he had actually met him before at the restaurant his father worked at in California. Michael Oher found success in the NFL, and his amazing story was turned into the Academy Award winning movie “The Blind Side.” Oher was one of 12 children and got very little attention at home. This led to him doing very poorly at school, and by the time he was 7, he had been placed into foster care. After living with several foster families, he was taken in and eventually adopted by a family who had children at his school. They got him a tutor, and he eventually went to college where his football career gained him national recognition. 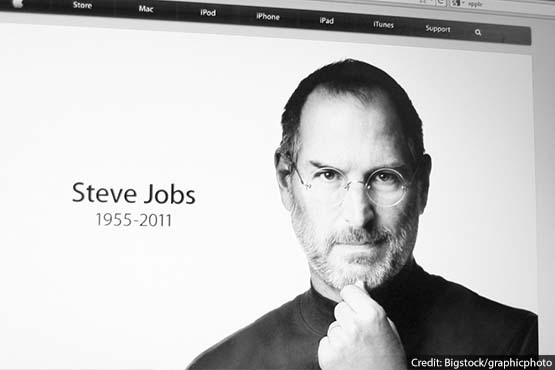 Steve Jobs created the best-selling Mac line of computers, iPhone, and iPad. He also co-founded Apple. John Lennon was a music legend and was known for his popular music. I am a huge fan of John Lennon. I am so sad to hear that he hardly spent anytime with his father and mother during his childhood. His mom was run over by a car when he was 14, and his father did not have a good relationship with him at all. His aunt Mimi was very strict but cared a lot about him. His uncle George Smith died when he was 15. Not a lot of people new Steve jobs biological dad originally was born in a Muslim house hold in Syria so pretty cool that there son became a world wide known inventor. Foster* Care* Learn how to spell. But aside the point, I love how inspiring this was. It sows foster kids who read this article that no matter what you go through you can push through to be successful in life. O,yeah.I’m in foster cear know and Iam looking for someone to adopt me that lives in chalstan. I did not know these famous people were in foster homes when they were young. so what I think they are telling people is that no matter how you live or who you are, your going to grow up and do great things in life to inspire people that think just because we are poor we cant do anything. well these people inspire me and I hope they inspire kids in the future too. i hope no child has to be in foster care because its not fair for the child and the parents should feel ashamed of themselves. I am in faster cear and I hate it and I’ve learned to forgive people. I find it extremely saddening that people take their children for granted. It makes me angry to see a child out on the streets begging for money to see if he just might be able to buy a good meal that could satisfy him enough to where he doesn’t want to eat more. I hate to see a parent that had a child who had so much potential just up and abandon them like that. Think of all the people who were abandoned but got up and moved on to become a better man then their parents. THeir cool right. Well most of them don’t actually become like that. Sure, Steve Jobs was rich and lived a good life, but he got lucky. Most people who are abandoned by their parents don’t get a very good education after this. As a matter of fact, they usually die from suicide or mass depression, which will lead to suicide. I have had a good life with a very rich lifestyle. I do take some things for granted, like food and shelter, but then I think of all the people who are homeless and parentless around the world. They have very little food, no shelter, and live a very poor lifestyle. I just want anybody who reads this to think about the things they have and how crappy their life would be without all the luxuries they have right now. Jacob, I disagree. Many parents do NOT take their children for granted and leave them on the streets. Most are FORCED to give up their children because of a severe problem. Wow. Thanks for sharing this. As an adoptive father and a teacher who works with children in the foster system, it is amazing to see the difference that a loving family can make and the strength that some people have to completely rise above their circumstances. I think these stories are very inspiring, and I hope the people who feel unwanted soon realize how important they are to the world. This is so heart touching <3. Made me tear up a little. To know I was a foster kid just last week and now I'm with a loving family. I just want to say thank you to channelone for showing a lot of us that you care and others do to. I will make it a mission to try to start my own organization to help us foster kids to find their siblings like I had to do.